Chae Sung-Pil was born in South Korea in 1972 and currently resides in Paris, France. Sung-Pil combines the philosophy and techniques of a traditional oriental aesthetic together with a “quest for new ideas” expressed in Western art. Chae Sung-Pil is fast becoming one of South Korea’s most established and prominent artists. His ‘soil pigment’ palette, collected from various journeys around the world, is filtered, diluted with water and mixed with glue. 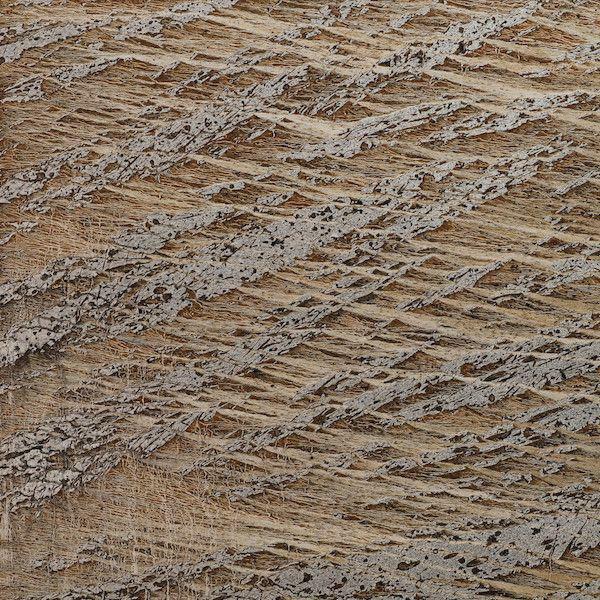 He then creates abstracted textural surfaces on the canvas reminiscent of the skin of the earth itself. The earth pigments are specially prepared on mulberry paper and often mixed with Chinese ink and powdered silver and gold dust. The organic mixture is then applied onto the canvas with a large brush, which interacts with the ‘soil’ through slight tilts in the angle of the canvas. Chae Sung-Pil is a doctoral candidate for Plastic Arts in the Université Paris. He holds an MA and BA from Seoul National University and a second Masters from Université Rennes Ⅱ. He has had solo exhibitions throughout France, South Korea and China and took part in the 2011 and 2014 London Art Fair and 2012 Art Basel.